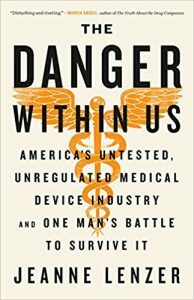 Jeanne Lenzer, a seasoned medical investigative reporter, points out that 32 million Americans — about one in 10 of us — have at least one medical device implanted in our bodies. These include artificial joints, cardiac stents, surgical mesh, pacemakers, defibrillators, nerve stimulators, replacement lenses in eyes, heart valves and birth control devices. Most patients — indeed most of the public — may think federal regulators subject all this hardware to rigorous quality and safety testing. Doctors and patients are at the mercy of manufacturers’ claims about the safety and efficacy of the devices. Medical interventions are now the third-leading cause of death in the United States, and devices play an increasing role in that statistic. Many people assume that the Food and Drug Administration requires rigorous testing of medical devices before they are approved, the same as the lengthy approval process it requires for new drugs. In fact, most high-risk devices on the market, including implants, have undergone no clinical testing at all. heart disease sufferers with fracturing and misfiring defibrillator units meant to stabilize their unsteady heart beats. These tens of thousands of consumers not only were harmed by the devices but many also suffered complications due to surgeries needed to fix them. 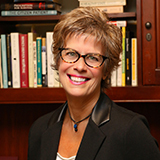 Crediting lawsuits for forcing disclosure of many medical device woes, she says the public needs to know much more that the federal Food and Drug Administration didn’t get legal oversight of medical devices until relatively recently — 1976. The agency then not only “grandfathered” in most products then on the market, it accepted a lax standard where new items, if they showed they were a lot like existing ones, breezed forward to public use. The Trump Administration, notably through new FDA Commissioner Scott Gottlieb, want to speed up agency regulation and oversight of medical devices even more, which Lenzer argues will be a big mistake. 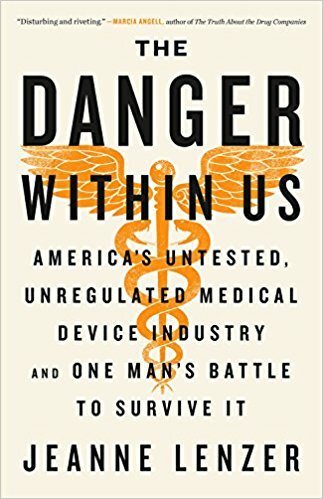 In my practice, I see the big harms not only that patients suffer while seeking medical services but also the major havoc that can be wreaked on them by defective and dangerous devices, especially medical devices. With its own self-described history of poor performance in shelving devices like the tissue-grinding and cancer-spreading morcellator, with agency auditors finding missed issues with just one medical device costing Uncle Sam more than $1.5 billion, and with other watchdogs finding the agency has bungled a simpler, core function of getting tainted products off the shelves as fast as possible, it’s hard to see why anyone would want the FDA to go even easier on its regulatory and oversight roles. In fact, the New York Times’ data-, research- and evidence-based column, “The Upshot” has just provided a powerful rebuttal to partisans who are pushing loudly a see-no-evil, hands-off point of view on government actions and public health. Economist Emily Oster revisited California and its response to a 2016 “debacle” at Disneyland, where, due to the state’s increased laxity on school kids’ vaccinations, at least 159 visitors to the amusement park were infected with measles. That outbreak, with more cases than typically is seen in an entire year in the whole U.S., gave the Golden State a global public health black eye. Lawmakers responded by cracking down on parents and families who had been allowed to enroll youngsters in schools only with vague promises that they sometime soon would get inoculated for measles and other childhood infections. They also zipped up loopholes in mandatory inoculation laws, including dubious claims for inoculation exemptions based merely on personal belief. Despite minor objections by critics who yelped about California as a meddling “nanny state,” vaccination rates have jumped, especially in schools and districts where they had plunged so low as to imperil the benefits of a collective or “herd” immunity conferred by widespread vaccination. California kids are healthier and safer — without outbreaks of measles and other infectious diseases that can be prevented with shots. Lenzer’s making a similar call for government action for our collective health and safety. Shouldn’t we listen to it closely and act on it if it makes sense, too?